When I first moved to New York City, I really suffered from dry lips and was constantly searching for the right lip balm. Daniel, my now-husband, recommended his Blistex lip balm. But strangely when I opened it, the smell reminded me of my work place…. and not in a good way. Then I realized why. One of the ingredients was phenol. In the laboratory we use phenol for extracting nucleic acids, such as DNA or RNA, from cells. But apparently phenol is also used as an analgesic or even to temporarily treat pharyngitis. To me, this was highly worrying. In the lab we handle phenol only with gloves and with great caution. Especially since it is corrosive to the eyes, the skin, and the respiratory tract and repeated or prolonged skin contact causes dermatitis, or even second and third-degree burns. It also has harmful effects on the central nervous system, liver and kidneys if you come into prolonged contact. Which using it in a lip balm, you would. Needless to say, I did not use Blistex. I kept on searching for a lip balm that instead of being corrosive would be nourishing, smooth and creamy, and, most important of all, keeping my lips moisturized even at temperatures of 20 below zero. It was an almost hopeless quest. Most lip balm are made with petroleum jelly (vaseline), because the theory is that this will lock the moisture in your lips and they will not dry out. Unfortunately the jelly is often not very highly refined and contains harmful impurities. And besides, it often dries your lips even more since it does not allow for moisture to be absorbed from the atmosphere but locks already present one in. What if you started out with dry lips already? They will only get drier. But there are some good brands out there, albeit they are expensive. Dr. Hauschka and Whole Foods own brand have lip balms with ingredients you feel comfortable to lick off your lips without having to think of the negative consequences. But one day I came across empty lip balm tubes in a local herbalist shop – and that gave me the idea. How difficult can it be to make your own? It actually isn’t. So with a little research I put together my own recipe for a lip balm. As always when making your own cosmetics, think about ingredients. As mentioned above, petroleum-based products dry your lips even more if they are already dry to begin with. What you want to be looking for instead are natural moisturizers such as Cacao Butter, Shea Butter or even olive oil. Vitamin E is also a good additive, it heals and regenerates your skin and also acts as an anti-oxidant. To make your oils and butters solid, you will have to add a solid fat or wax. Again, petroleum based ingredients such as Vaseline should be avoided. Instead use beeswax. It is non-toxic and indigestible, if you happen to lick it off your lips. Finally choose a scent. Essential oils are ideal for that. Peppermint or sweet orange are classic ones, but cinnamon is also quite nice during the winter. As important it is to decide on what you put into your body wash, it is equally important to know where your ingredients come from. Many of the ingredients such as essential oils, maybe even Shea butter and beeswax, are commonly found in your local organic shop. If you don’t life near any such shop try the internet. As mentioned in my previous post on shower gel, a good resource is Mountain Rose Herbs. This company sells herbs, teas, spices, natural health products as well as ingredients for homemade body care in bulk. As I mentioned before, making your own cosmetics doesn’t require a sterile environment. To mix your ingredients, use clean stain-less steel mixing bowls, measuring spoons and a whisk. To heat them, just use an old stain-less steel pot. It’s as simple as that. Before you get started though, make sure you have the final container ready. Herbal stores are hidden treasure troves when it comes to finding containers for homemade cosmetics and that’s where I came across my lip balm containers. Again, if you don’t have one close by, Lipbalmtubes.com is a great resource for anything related to making your own lip balm. Also have a set of small stain-less steel funnels handy to transfer your mixture or get a lip balm tube filling tray. Finally, get creative! Make your own label. The website also sells printable sheets with stickers sized to fit your tubes. It makes a nice Christmas gift! Now the quick and easy part, actually making your lip balm. Chop your butters and beeswax in small chunks so they melt quickly over a low heat water bath. This is nothing but a metal mixing bowl placed on top of a pan filled with water. Then add your Vitamin E, Essential oils and mix well. 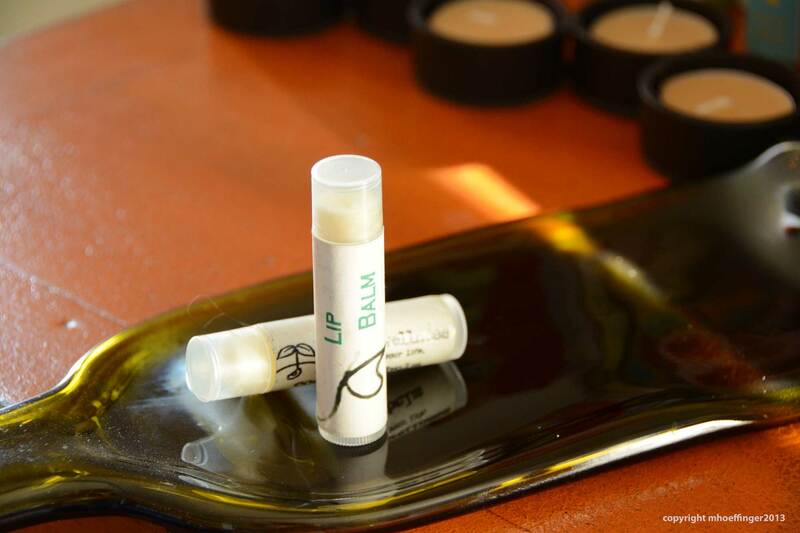 Fill into the lip balm tubes using a small funnel, let cool, cap and stick your label on. Hmmm. Creamy – and even if you get some into your mouth – it tastes and smells of cacao butter and is completely harmless! Enjoy! On a final note – as for Blistex? They have finally removed phenol from some of their products and replaced phenol with oxybenzone. Is that better? No, not really. Oxybenzone is a photo-sensitizer that may actually cause more sunburns and ultimately skin cancer, despite it being found in many sunscreens. Fill a small stainless pot half way with water and place a metal bowl on top. Put the cacao butter, Shea butter and beeswax into the bowl and heat the water below to a low boil. Keep checking until all the beeswax is dissolved (it will take the longest). Take from the heat and whisk in the Vitamin E and Essential oils. Use a small metal funnel to fill into lip balm tubes or use a multi-tube filler if you are making a large batch. Let cool and cap. Keeps ~12 months. A Quick Guide To Finding Out What’s Hiding In Your Face Cream. My grandmother always used to say that cold coffee made you beautiful. And while that’s a topic for another post, it’s a good metaphor for how we often take statements like that without questioning them. She had heard it somewhere in the past and then imparted her wisdom to me. And it’s my grandmother, so it had to be true, right? Maybe – or maybe not. In any case, it’s a phrase I still jokingly use with my husband since I am notorious for letting my coffee get cold. And being the scientist he is, he always questions that statement with a ‘Why?’. Sadly, he is the only one. The most common answer I get from other people is ‘Really? I didn’t know that.’ And it is not just because he is a scientist, believe me. Many of my science colleagues don’t question what they use on a daily basis to groom themselves. I have asked several of them – and they were without a fail surprised by the question, let alone the thought behind it. Even before I became a biochemist, I was interested in what personal care products were made of. And not only because of cold coffee. The insistence with which the media on behalf of cosmetics companies tried to sell us the next best shampoo made me suspicious. I honestly felt no difference in my hair quality regardless of whether I used Timotei or Herbal Essence. In fact, becoming bored and disillusioned with the never-ending promises of silkier and softer hair, I began to experiment with homemade cosmetics in my late teens. I discovered that it was much more fun to tailor a cream or a shampoo to your personal tastes and play with ingredients, than use products whose components I knew nothing about. The search for ingredients for my own creams led me to take a closer look at those in store-bought ones. Needless to say none of the outlandish sounding names on my mother’s face cream made any sense to me back then. Without readily available access to the Internet, research wasn’t quite as easy. So it wasn’t until my time at University that I got more of an idea what’s really in her face cream. No matter how fancy or expensive, Nivea or Clarins – the ingredients are always similar. And not in a good way. Nowadays it’s much simpler to look behind the label of your body care products. Just type any of the ingredients into Google – and voila! 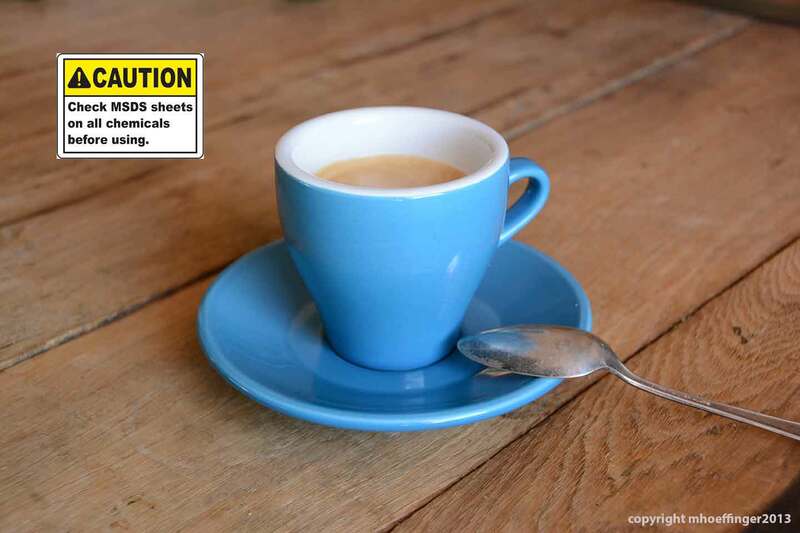 Material Safety Data Sheets (MSDS) of any chemical are available online. They list the potential hazards of a chemical and the amounts that could be dangerous in an easy-to-understand manner. Another great resource is Wikipedia. Information on almost all chemicals can be found there. However, not all entries list their hazards to health when used in the cosmetics industry. A resource I have found useful and very accessible over the years is Skin Deep, a database by the Environmental Working Group (EWG). The database, which was established in 2004, contains information on around 79,000 products and 2500 brands. And although a good base, it’s not updated regularly, and some of their data is limited and often not stringent enough. Another source of information is the David Suzuki Foundation. David Suzuki has been engaged in environmentalism since the late 80s and founded the organization in 1990 as a solution-based group. The Foundation has a lot of material on cosmetic ingredients as well as other topics such as safe food and climate change. But it is not just large organizations that can help in the quest of investigating your shampoo. FemmeToxic is a young Montréal-based organization dedicated to a youth-oriented campaign for safer cosmetics. Founded in 2009 the group is particularly focused on raising awareness amongst young women on the dangers behind cosmetics and personal care products. It is also a strong advocate for stricter regulations and labeling. Their website has easily accessible information on dangerous ingredients and their risks. Resources like these allow us to finally break free from the propaganda machinery of the cosmetics industry. It allows us to do our own research on their latest not-to-miss-out-on ingredient, or how nanoparticles will truly affect our wrinkles. With the worldwide web at your fingertips it is simple and straightforward to find out what’s really in your shampoo or face cream – or if cold coffee could make you beautiful. Our society is obsessed with smells. But is this obsession really worth our future offspring? Each and every one of us has to smell fresh at all times. Our clothes have to smell fresh – even after a night out in a smoky club (well, now mostly a thing of the past), and even natural baby scent is not good enough any longer. Yes, now there is even a perfume for babies. We don’t buy body care products that only have a subtle smell. I only realized the full extent of this recently when my husband proclaimed that my homemade shower gel just didn’t smell strong enough. I was confused. I had added grapefruit oil and rosewater, and, at least to my own nose, it was pleasant, yet not overbearing. But then again, I am the person that cannot walk the perfume section of a department store without feeling nauseous and developing a headache from all those overpowering scents. Yet usually my husband is the one with the sensitive nose. Unlike with many other things, when we smell something, good or bad, we don’t readily associate some chemical formula with it. Regardless though of whether it is the smell of an orange or Febreze, in both cases there is a chemical compound entering our system through inhalation and it reacts with our olfactory system creating a sense of smell in our brain. Sadly, that’s not the end of it. More and more people these days seem to be affected by ‘fragrances’ used in deodorants, air fresheners, shower gels, perfumes – you name it, and exposure often triggers migraine, allergies and asthma symptoms. Moreover, most of the ingredients used for fragrance, have actually not been tested for toxicity, alone or in combination. So why are these chemicals not simply avoided by companies? Simple. Since they haven’t been tested, there is no law in effect that enforces avoidance or even disclosure of the danger behind these ingredients. So how can you detect them? Only with diligence and reading ingredient lists. If you were to look at any deodorant, all you may find is either the generic term ‘fragrance’ or a short list of names that no meaning to most people such as Limoene, Citral, Geraniol or Linalool. They all sound harmless and somehow related to smell we know – lemon, citrus, geranium. No? None of these ingredients are derived from the natural source of lemons or geranium, and in fact, many of these compounds are irritants. Lastly, some fragrance ingredients are not actually perfuming agents themselves but enhance the performance of perfuming agents. 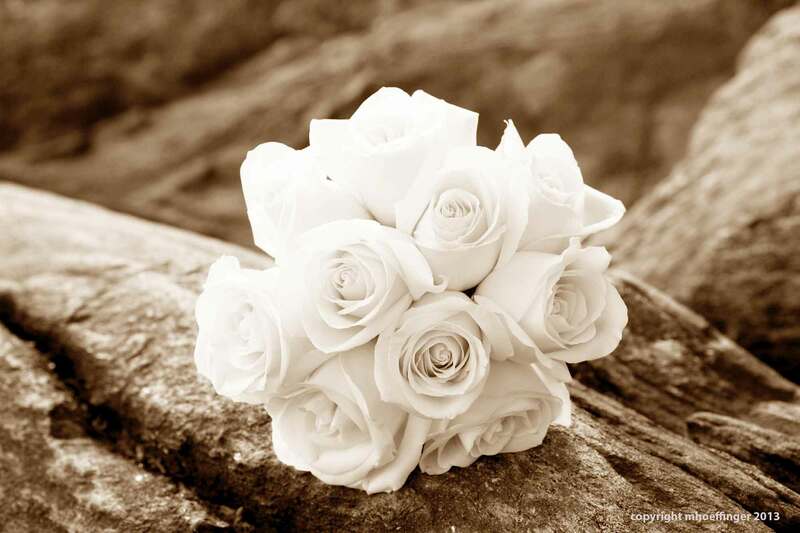 One such widely used ingredient is diethyl phthalate, or DEP, and is added to make the scent linger. Phthalates are choice ingredients in cosmetics because they are cheap and versatile. However, the European Commission on Endocrine Disruption has listed DEP as a Category 1 priority substance, based on evidence that it interferes with hormone (endocrine) function. Phthalates have been linked to early puberty in girls, reduced sperm count in men, and reproductive defects in the developing male fetus (when the mother is exposed during pregnancy), not to mention liver and kidney failure in young children when exposed for extended periods. So what’s a girl or guy got to do to smell nice and stay healthy? Look for products with the least fragrance, avoid DEP at all costs, and maybe mix your own. A mixture of essential oils of your choice mixed with some alcohol and glycerin goes a long, healthy way. What DO you put in your mouth? Many of us are concerned about the food we put into our bodies. Is it organic? Where does it come from? What’s in it? And rightly so. But there are other things we put into our mouth on a daily basis. In fact, at least twice a day. Without even thinking about it. Toothpaste. Which begs the question: why are we so concerned what we put into our stomachs, when we seem to have no care about the pasty substance we use approximately 49640 times during your life-time between the age of 2 and 70 (assuming that before or after you won’t have any teeth to clean)? I suppose it’s because few of us are aware of the fact that the mucus membranes inside our mouth are one of the most direct routes to our blood, our organs, our brain. More so than our stomach, where food needs to be broken down first. And it has about 90% absorption efficiency. Worried yet? Here is a list of five ingredients that can be found in almost all brand name toothpastes, with very few exceptions. So whatever your favourite happens to be, take a look at the small print next time you brush and find out what exactly you are putting in your mouth. Maybe some of you still remember your elders threatening you to wash out your mouth with soap if you were to use that ‘bad word’ again? I do. Little did I know back then that all my Gran would have had to do is tell me to go and brush my teeth. Of course that would have been a much less intimidating threat, and in fact, she might not have even known herself. Sodium lauryl sulfate, or SLS, is often listed as ‘surfactant’ or ‘dispersant’ if you take a close look at some toothpaste’s ingredients list. All it means is that it allows lowering the surface tension between two liquids as they mix, forming bubbles and stabilizing them. In simple terms it’s a detergent. The same you use to wash your dishes. It’s soap. And don’t be deceived by claims that SLS is better than SDS (sodium dodecyl sulfate), which has received bad press over the past years. It’s one and the same. Both are eye and respiratory tract irritants and allergens. And while not listed as such, when used in the laboratory to denature proteins, they are regarded as bio accumulative chemicals. Suggesting that you will develop a potential allergy to it over time and with continued use. Like I did. Sugar has become an increasing concern in our society. Diabetes and obesity are increasing steadily, especially among children. We now lean more often towards food and drinks that contain less or no sugar to curb our intake and that of our children. But do you also consider your sugar intake when it comes to your toothpaste? You should. After all, it’s a main ingredient and comes in one of two flavours: sodium saccharin or sorbitol. Many of us are familiar with saccharine to sweeten coffee or tea. It was developed first in the 1870s and is made from coal tar. Yummy. It contains no caloric value and is not absorbed by our intestines. However, the sweet taste of saccharin has been suspected to still trigger a response from our hormone glands (also called endocrine system) and stimulate insulin production from the pancreas. The main effect of insulin is to transport sugar in the blood stream to various body tissues that can use it for energy. Without any actual sugar entering the blood stream, when ingesting an artificial sweetener such as saccharin, insulin has nothing to bind to. Over time this void stimulation could decrease your insulin sensitivity when you actually do eat sugar (requiring you to eat more to elicit a response by your glands) and increase your risk for developing diabetes. Sorbitol, on the other hand, is a simple sugar substitute and does provide dietary energy. At least that will give our insulin something to transport. Better? Not really. Sorbitol is suspected to aggravate irritable bowel syndrome and similar digestive conditions, which are very common today, even in small amounts. In the past decade we have become literally obsessed with everything antibacterial. Antibacterial hand soaps, wipes, dishwashing liquid, and shower gels. You name it and it will most likely exist in its antibacterial form. There are even antibacterial children’s toys. And yes, there is also antibacterial toothpaste. Triclosan is the chemical most commonly used as an antimicrobial ingredient. In toothpaste it is added to fight gum inflammation. It’s often paired with PVM/MA copolymer, a water fixative found in hairspray, that causes it to stick to your teeth and gums, rather than getting rinsed away. Yet while triclosan is so prevalent throughout our households it is even more so than you might have ever thought. The US Centers for Disease Control and Prevention found the chemical present in the urine of 75 percent of Americans over the age of 6. How so? Triclosan is bio accumulative; meaning with every dose you put into your mouth or onto your skin, some of it will stay behind and become absorbed into your body. And often the doses are too high to begin with. While Health Canada limits the levels of triclosan in toothpaste and mouthwash to 0.03%, there are several commonly used pastes out there that contain levels of 0.3%. It fights bacteria. So what’s the problem? The EPA (Environmental Protection Agency) lists triclosan as a pesticide and the FDA suspects it to alter hormone regulation based on studies in rodents. But beside that the use of triclosan also contributes to bacterial antibiotic resistance. In light of that, several countries, including Canada, are actively seeking to ban the ingredient. Familiar? It’s a famous advertising jingle for a well-known brand toothpaste. Over the years companies have worked out strategies to make toothpaste more appealing through its cool colors or new gimmicks represented by them. Yet the colors meant to brighten up our daily brushing routine are much less pretty than they look. Made from coal tar, a mixture of many chemicals derived from petroleum some of them were shown to have the potential to cause cancer when applied to the skin. So what could be the consequences if put into our mouth? In addition they are often contaminated with low levels of heavy metals or combined with aluminum substrate. Aluminum compounds and many heavy metals are toxic to the brain. Some colors are not approved as food additives, yet they are still used in personal care products that may be ingested, like toothpaste. In the U.S. color naming system, “FD&C” indicates colors approved by the FDA for use in foods, drugs, and cosmetics, “D&C” colors are not approved for use in food. But then again, does toothpaste count as food? I knew but was still happy she seemed concerned, as I did feel a little uneasy about using castor oil at that point. Castor oil is obtained from castor seeds, which contain ricin, an extremely toxic protein removed during cold pressing and filtering, rendering the oil fairly harmless. For the outside of your body. So why is found in toothpaste as PEG-40 hydrogenated castor oil? PEG-40 hydrogenated castor oil means that the oil has been ethoxylated, a process in which ethylene oxide, a petroleum based chemical, is added to alcohols and phenols to produce surfactants, often with the carcinogenic 1,4 dioxane as a by-product. A surfactant? An emulsifier, foam booster, cleansing agent. And that’s why it’s in your toothpaste. The one that you put in your mouth, on the inside of your body. We are often led to believe that using chemicals like the ones listed above reflect progress. That they allow us to live healthier than our ancestors, even our grandparents, did. Yet do they really? My grandmother was born in 1920 and for the majority of her life used simple products to clean her teeth. A combination of salt and sodium bicarbonate, mixed with water into a paste during her childhood and the War, and later on a little more sophisticated mixtures, which were still simpler than the mélange of chemicals found in toothpaste today. And you know what? She lived to the impressive age of 87 with her own teeth intact and well. For me she was a shining example that with simple yet thorough care you can keep your mouth healthy without inflicting harm to the rest of your body.